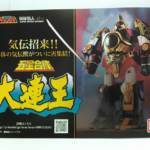 Next up on Super Sentai Artisan’s releases is the main mecha himself: Dairen’oh! No further details on this release have been released as of this writing, though we can confirm that like previous releases in the line, Super Sentai Artisan Dairen’oh will be a P-Bandai exclusive. So Dairen'oh is confirmed as the next Super Sentai Artisan release, details pending. Is this the Legacy Thunder Megazord mold or the original figure? If that's the figure in the image, it's the original based on the he'd ports for the crystals/ranger mini figs. Ah DairenOh, the toy that makes me want Chinese food. Is this the first full mecha that SSA has done? Just looking at the mould it's obviously the original. I might actually get this if it's cheaper than the Legacy release. Given that both Shinkenoh, and Toqoh were both in the 16,200 range 'm expecting somewhere around there. Especially if this just ends up being the Legacy release with a few modified parts and extra paint apps. perhaps this is just a place-holder image... if we have learned anything from the Artisan toys which have been released after Legacy... they are refined versions of the same Legacy toy. Is this similar to the upcoming Bandai MMPR release and the recent Voltron release? Or is this something else entirely different? Different, I believe. The Daizyujin (MMPR Zord) and the GoLion/Voltron were Soul of Chogokin releases which is Bandai's high end robot line. I think the Super Sentai Artisan robos are more retools of the general release versions. More metal or better paint apps or somesuch. I'm sure someone will correct me if I'm wrong, but I think that's the situation. 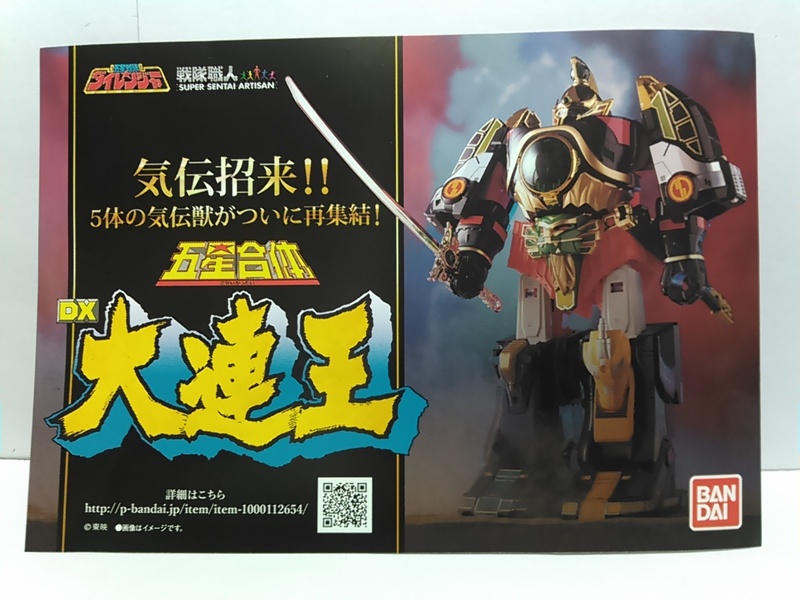 Did Bandai of Japan make an Artisan Daizyujin (dino megazord)? Did they make, Dragonzord, Titanus, and Tigerzord too? I can't find any info online other than their artisan morpher with the red crystal and a gold coins set that were new sculpts from a different line but can fit in the legacy/artisan morpher.